The SMART Competition challenges both university students and high school students to apply their knowledge of science, math and physics to develop an intelligent building design. The students will be mentored by design and engineering professionals. They will use the same techniques and tools the design teams use in many of the country’s best design firms. For the competition, the students will redesign a gymnasium found on an existing high school campus. All teams will be tasked with redesigning the same building. The Competition is open to all undergraduate level university students and to high school students who attend public, private, parochial, charter and home-based schools. Students from other non-school based or informal education programs may participate. The program is designed to attract all students without regard or bias of gender, race, socio-economic or academic performance level. Student teams will use Bentley’s AECOsim Building Designer and Energy Simulator software . View the Introduction videos to see how you will be using applications used by design and engineering professionals. 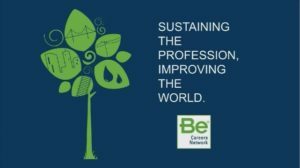 Learn more about the Be Careers Energy Performance Series.